Hundy helps non-prime consumers to get loans of up to a few hundred dollars from a network of peers, disrupting the $100+ billion US market for personal loans without needing any of its own lending capital. Despite the strong economy, our middle class, which was once synonymous with the American Dream, is now defined by a state of perpetual uncertainty where instability is the new normal. Given this, it’s no wonder that nearly half of America can’t come up with $400 in a crunch leaving many in need of a financial cushion. But unless you have near perfect credit, the options for getting a small, short-term loan are broken. Payday loans are well known to be predatory debt traps, while borrowing from friends & family can come with a high social cost. Hundy solves these problems by providing the industry’s first mobile-native, peer-to-peer lending marketplace focused on non-prime borrowers. Borrowers use a friendly mobile app to get approved and funded within minutes, lenders get a good return on their investment, and the P2P community rewards those who do the right thing. The result is a community-based lending model that drives network effects creating a new winner-take-all category in consumer lending. 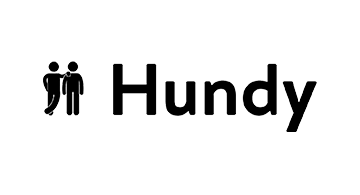 Hundy intends to be the leader of this new category by offering an affordable financial cushion to anyone who is creditworthy.